This one was the runner-up, the also ran, the picture I almost put in the "Red" art show. I like it, but felt it would not catch the eye as much as the one with the blue background. 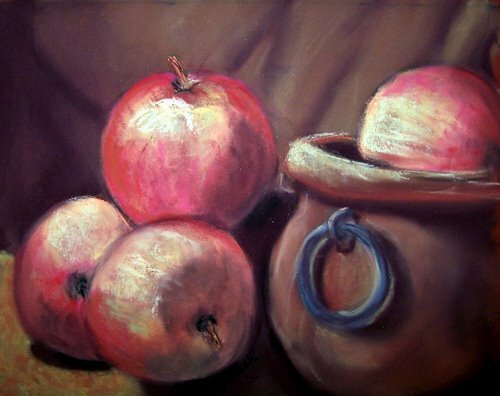 It was early fall when I painted these, so I guess I was on an apple kick! This one was also sold at a charity auction.